Drench your skin in the aromatic wonders of our luscious vanilla bean-body-dream. A serene skin serum! This all-over body moisturizer is packed with beneficial botanicals and pure plant essences for luxurious moisture and a terrific tonic for silky, smooth skin. 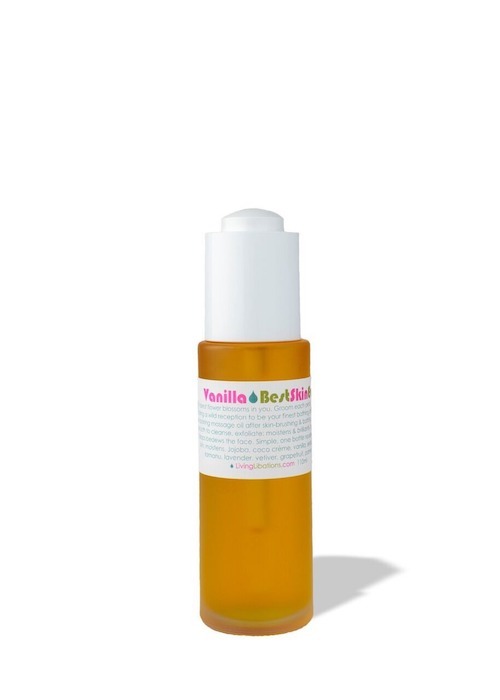 Vanilla Best Skin Ever™ saturates skin with pure botanical nourishment and aromatic joy. 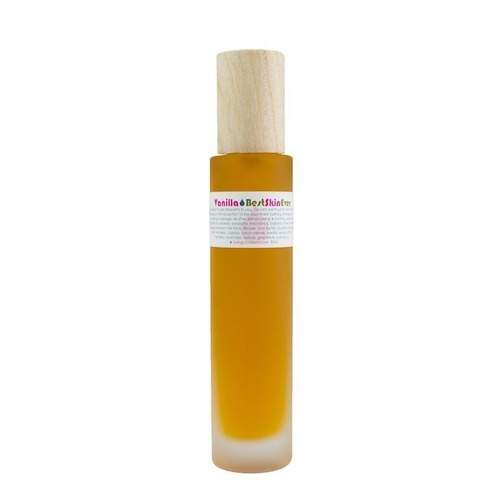 This all-over body elixir moisturizes every inch of your insatiable, glorious skin. It is also decadent massage oil. Ignite the senses with organic infusions of raw vanilla beans drenched in virgin coconut oil for months on end. Our signature solution unleashes the aromatic awesomeness of pure vanilla while anointing the coconut oil with all the fortifying, soothing, moisturizing powers vanilla has to offer. To this sweet-smelling treat we have added soothing seabuckthorn to even skin tone, wholesome jojoba to balance oil production, tried and true tamanu oil to infuse each skin cell with beneficial lipids, lovely lavender oil to soothe and calm, vibrant vetiver to tone, grateful grapefruit to energize, and pure palmarosa to purify the unknown. Put one or two squirts into your palm. Using your fingertips, gently massage the face, neck, or body. 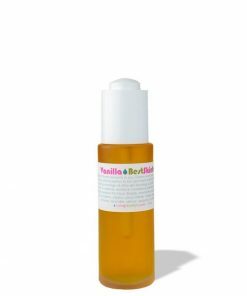 Vanilla Best Skin Ever™ may be used to cleanse the face and body (and many people do), though unbalanced or acne prone skin will see happier results from Seabuckthorn, Rose, Frankincense, Sandalwood, or Neroli Best Skin Ever™. Fresh Vanilla Beans infused in Virgin Coconut oil (Vanilla Planifolia + Cocos Nucifera) – Vanilla is associated with comfort and sensuality. We soak raw, organic vanilla beans in pure virgin coconut oil for a full moon cycle until the sensual essence and soothing nature of vanilla saturates every molecule of the coconut oil. Virgin Coconut oil (Cocos Nucifera) – This nourishing, non-comedogenic oil is a creamy, dreamy treat from your head down to your feet! Virgin coconut oil is rich and moisturizing for the skin. Easy absorption helps to reduce the appearance of wrinkles and promote elasticity. Coconut oil is also used to eradicate free radicals and protect the skin from damage. 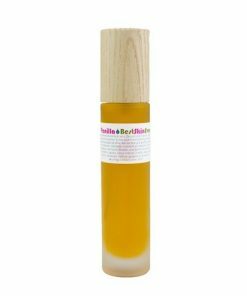 Golden Jojoba oil (Simmondsia chinensis) – Golden, organic jojoba oil is naturally rich in lipids and peptides, which provide long-lasting conditioning effects for the skin. 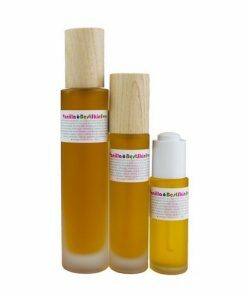 Jojoba balances oil production in all skin types. In fact, jojoba so closely resembles natural skin oil that your skin is effortlessly absorbs it. Jojoba contains eight different forms of vitamin E plus phenolic compounds. Seabuckthorn Berry (Hippophae rhamnoides) – Our exclusive supercritical extraction of seabuckthorn is packed with antioxidants, fatty acids, vitamins, phytosterols, carotenoids, and over 190 bioactive compounds. This undisputed star of natural skincare works to soften, moisturize, protect, and regenerate the skin at the deepest possible level. Seabuckthorn is able to penetrate deep inside each skin cell, infusing the inner and outer layers with moisture and protection. It suppresses inflammation by inhibiting the activity of an inflammation-causing compound called NF-kB. Seabuckthorn is used to strengthen cell membranes, prevent water loss, moisturize dry skin, and heal wounds, burns, and stretch marks. 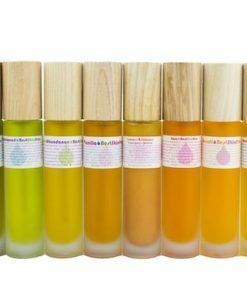 Tamanu oil (Calophyllum inophyllum) – Tamanu berry oil is extracted from beautiful, exotic tamanu berries that contain hidden healing secrets for the skin. Packed with 92% lipids, tamanu oil offers incredible absorption and a delectable fragrance that is earthy, nutty, and awe-inspiring. Lavender (Lavendula augustifolia) – Lovely scented lavender is healing, therapeutic, and restorative for the skin. It is an effective burn treatment, anti-inflammatory agent, and skin cell regenerator. Lavender is antibiotic, antiseptic, and is used to tone the skin and prevent scarring. It is perfectly suited to all skin types. Vetiver (Vetivera zizanodes) – Vivacious vetiver oil is an earthy, grounding essence distilled from tropical grass. Calming and moisturizing for skin, vetiver is used to give the skin a plump, youthful appearance while offering a rich, rooty aroma. Grapefruit (Citrus paradisii) – Gracious grapefruit is cheering, energizing, and uplifting for the skin and spirit. It tones and firms the skin and is used to clear up breakouts, prevent blemishes, and promote healthy lymphatic flow. Palmarosa (Cymbopogon martini) – Like vetiver oil, palmarosa oil is also extracted from wild, fragrant grasses, but palmarosa smells positively fruity! Packed with tonifying phytochemicals, palmarosa is antiviral, antiseptic, and regenerative. It is said to optimize oil production, produce healthy skin cells, and protect the skin from external toxins. 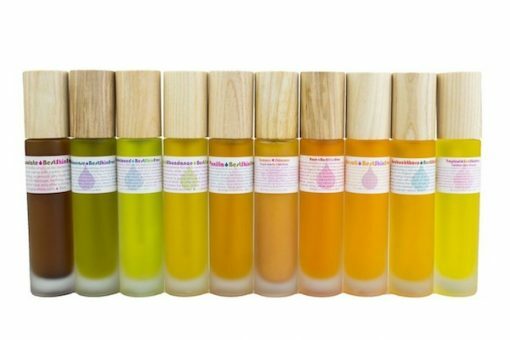 If more moisture is needed, add another squirt or two of any of our Best Skin Evers or Libations Serums (Rose Glow, Soothsayer, Royal Rose, Sandalwood, Chocolate Karate, or Open Sky) to your fingertips and massage into the face and neck. If your skin feels extra thirsty, a Libations Crème (Sundew, Rose Glow, All Seeing, or Maverick) will satisfy. 1. Leave the body wet after a bath or shower. 2. Wet a washcloth with water. Squeeze it out. 3. Apply a few squirts onto the wet washcloth of any of the Best Skin Evers. 4. Massage the entire body with the cloth, head to toe. Rub more vigorously to exfoliate. This has a wonderful scent of vanilla and warm spices perfect for the winter/holiday time. It also feels extra moisturizing, making it ideal for the colder months. I use it as a facial and hand moisturizer and it works wonders!